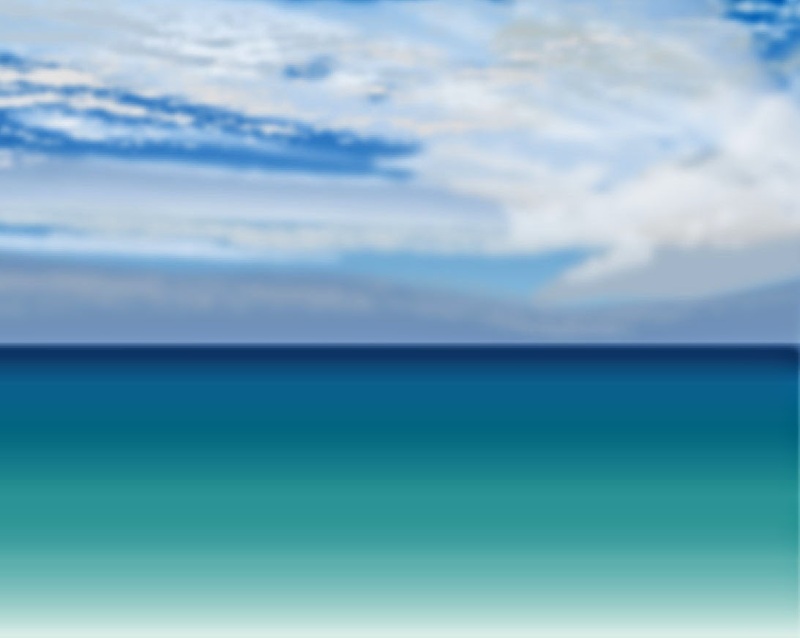 To discover the content of this blog visit the "summary" page. 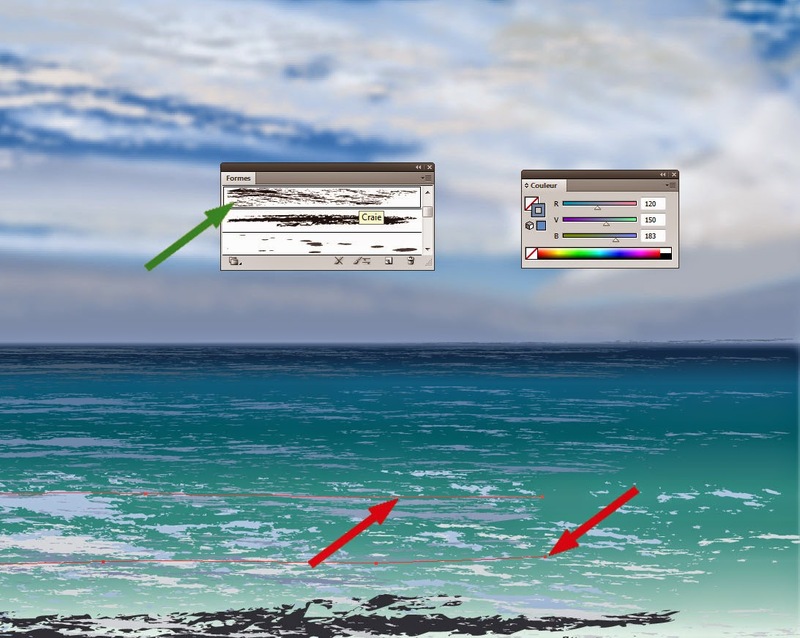 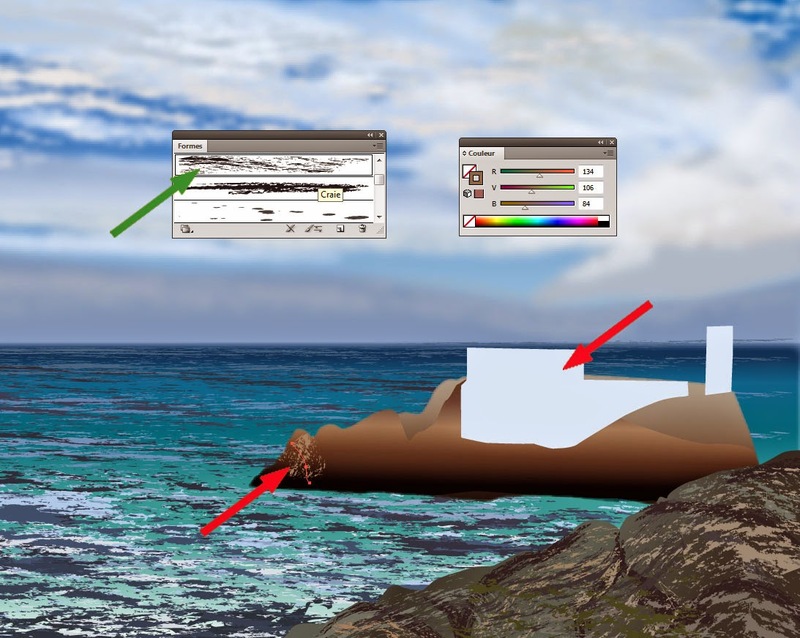 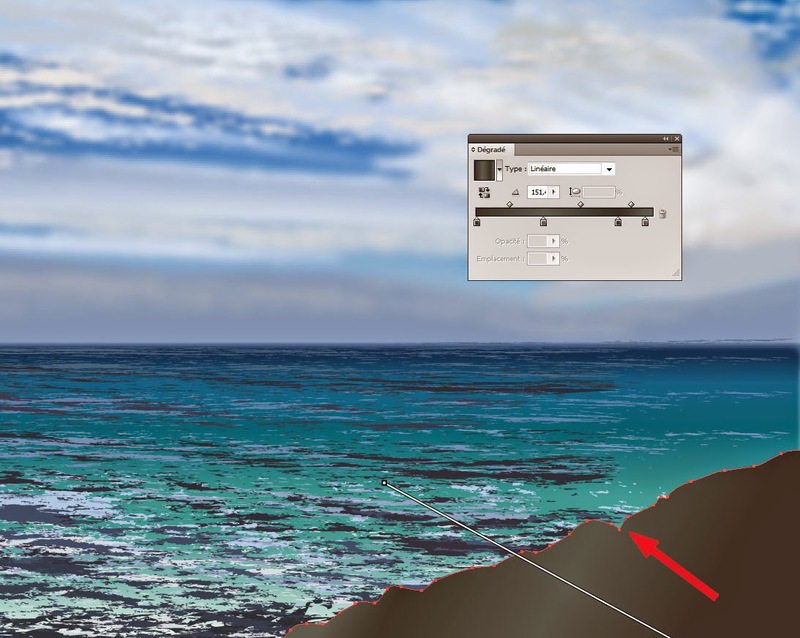 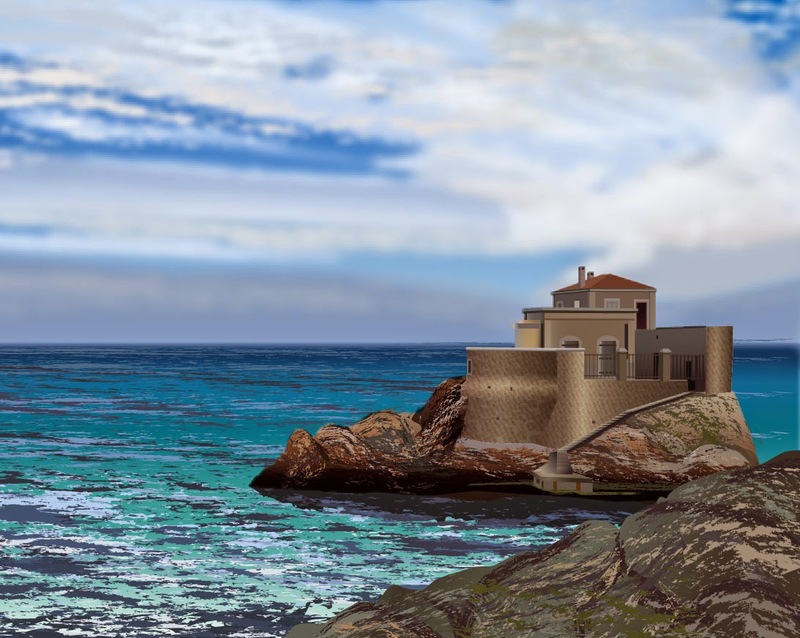 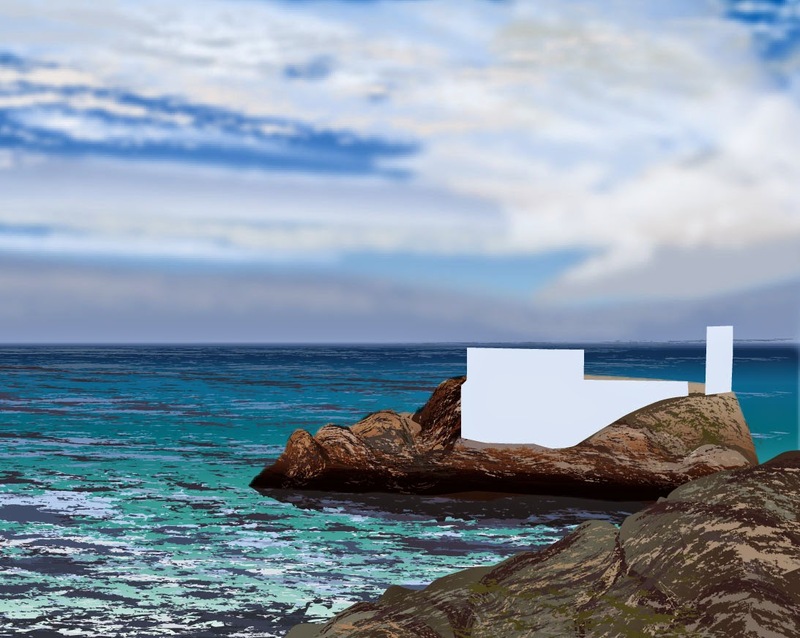 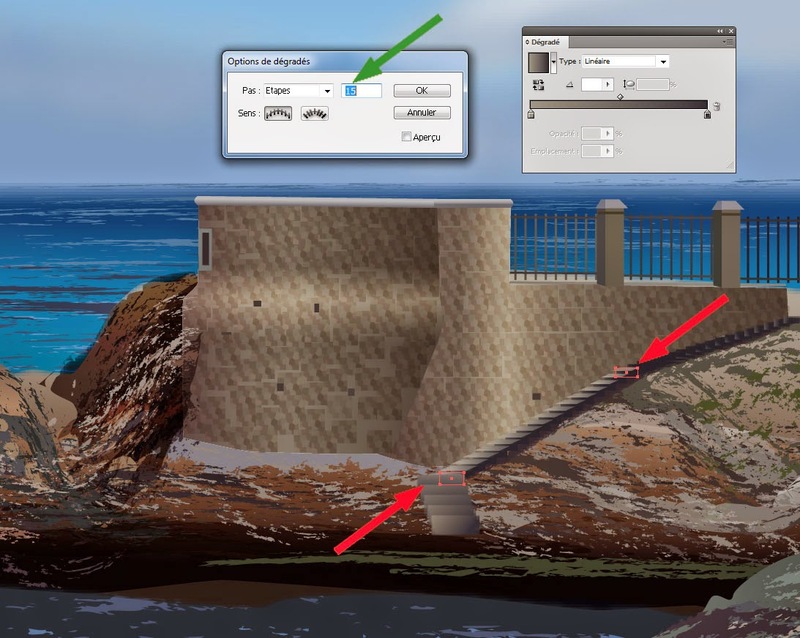 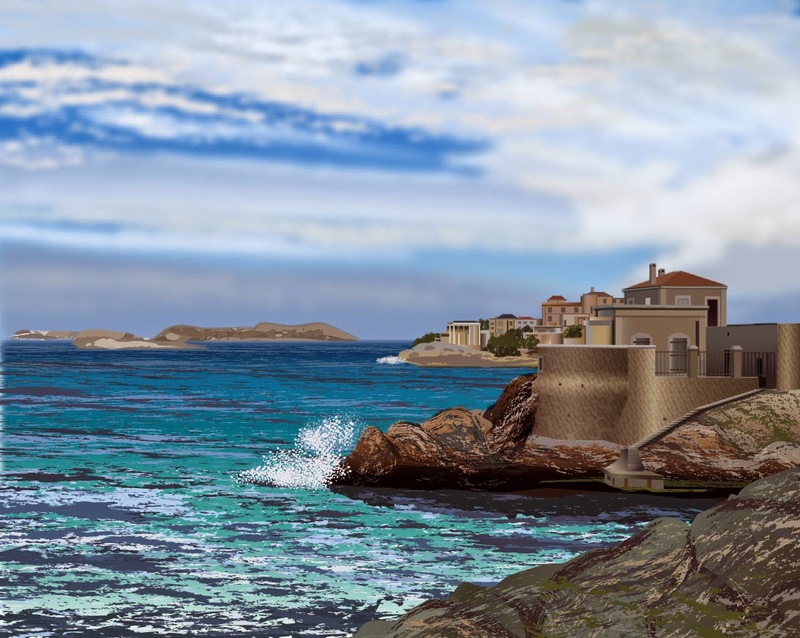 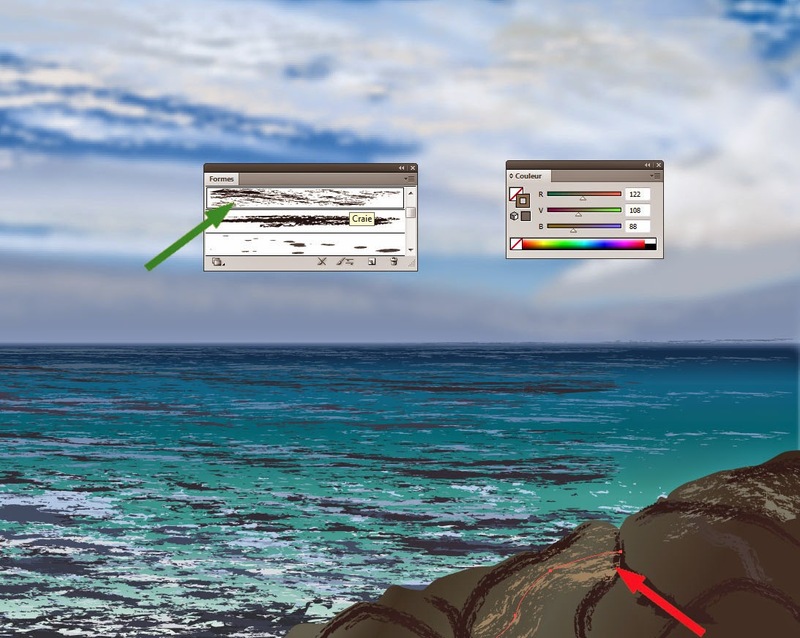 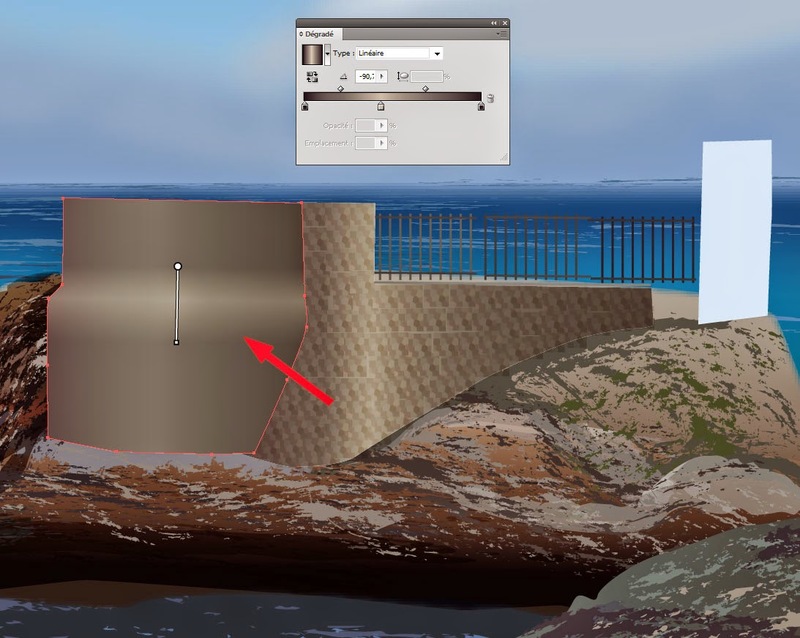 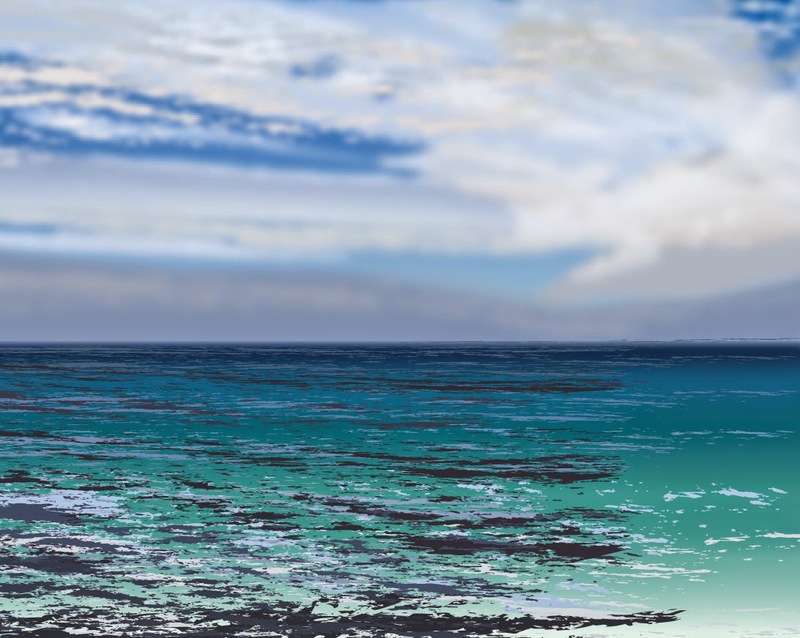 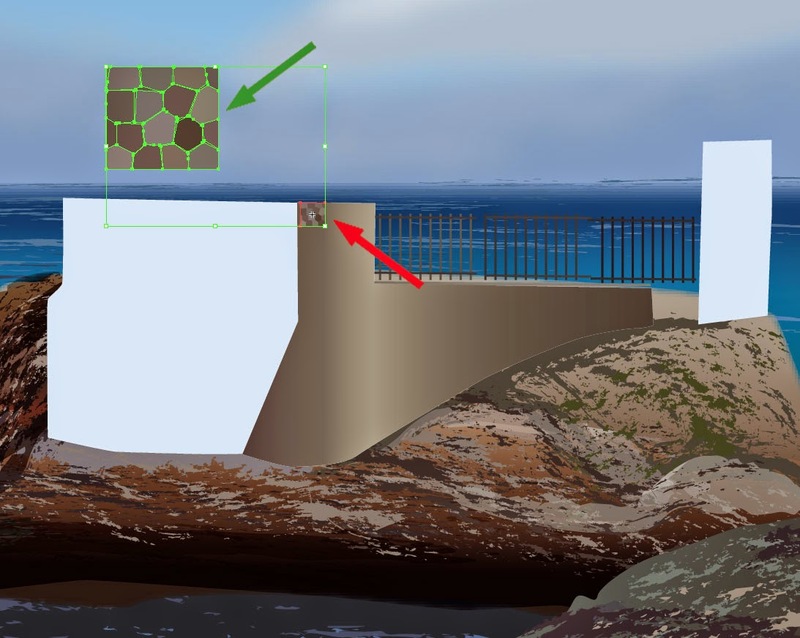 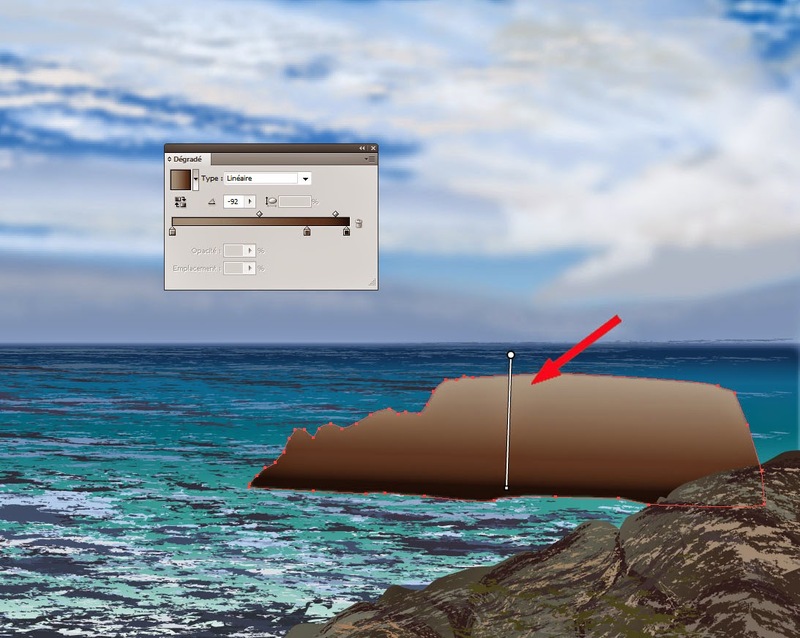 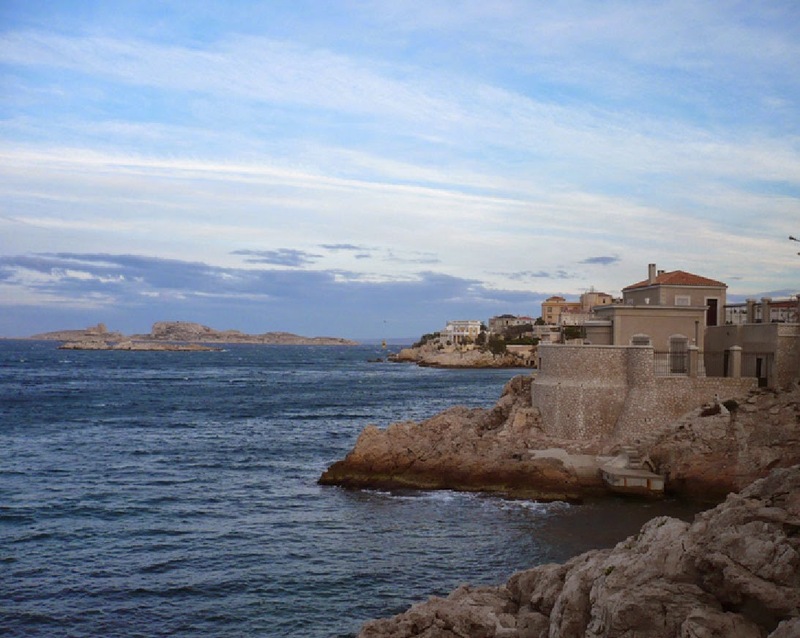 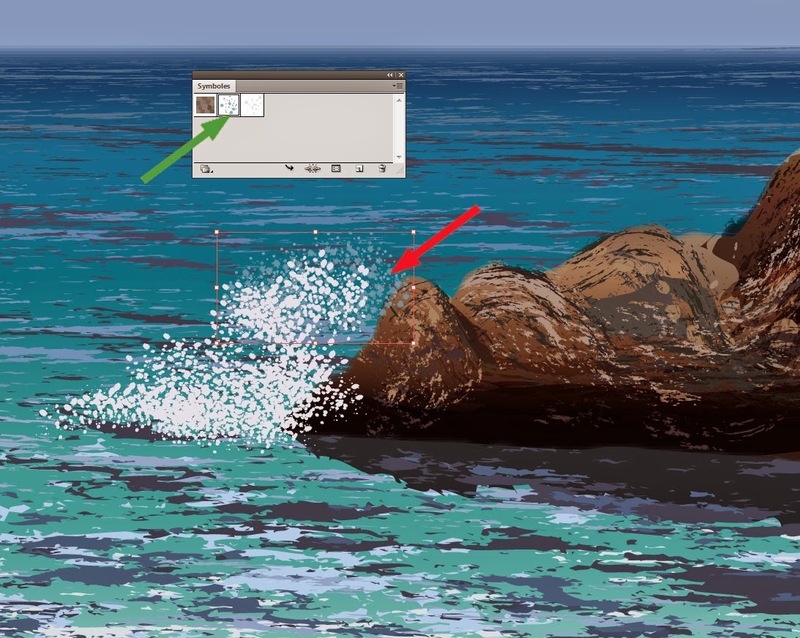 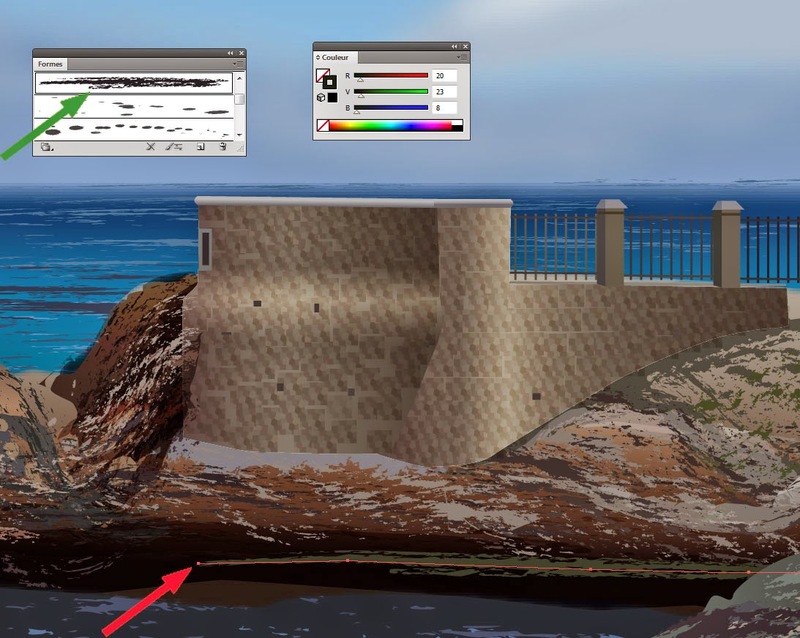 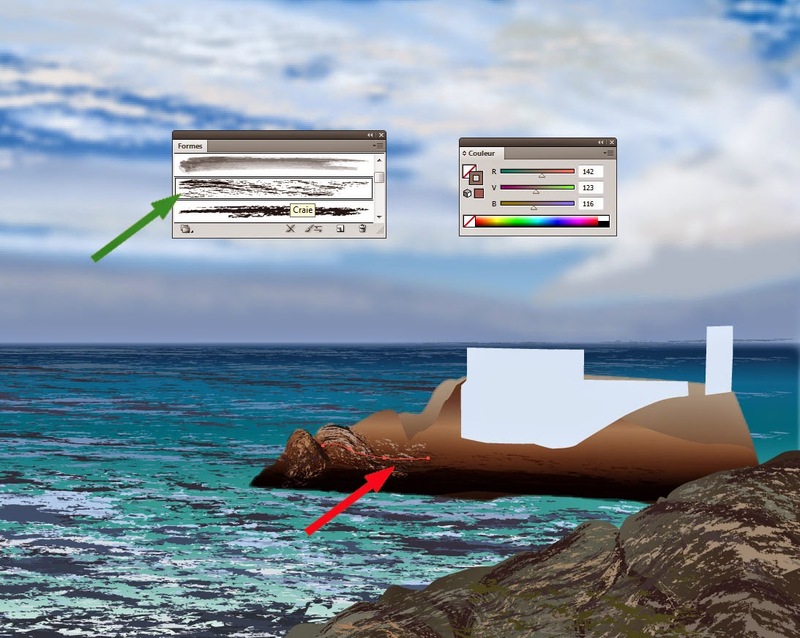 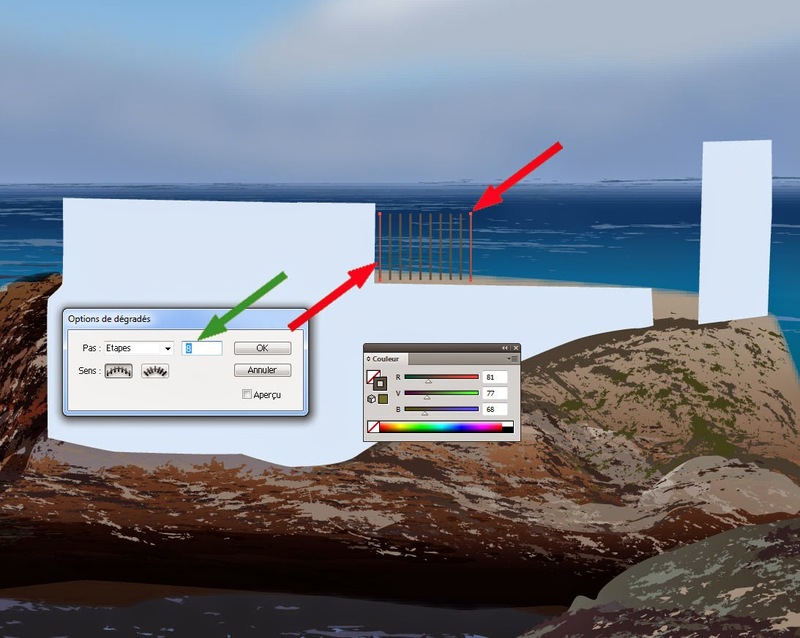 Here is a beautiful landscape of sea and sky with a rocky shore (photo found on the internet) that I propose to reproduce with the software of Adobe Illustrator (CS5). For more information read the post "Notation for color gradients". 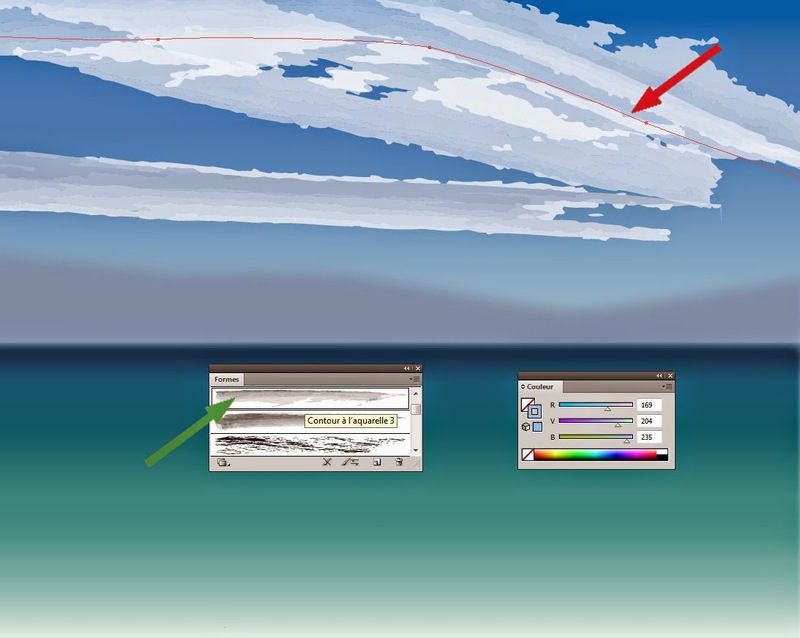 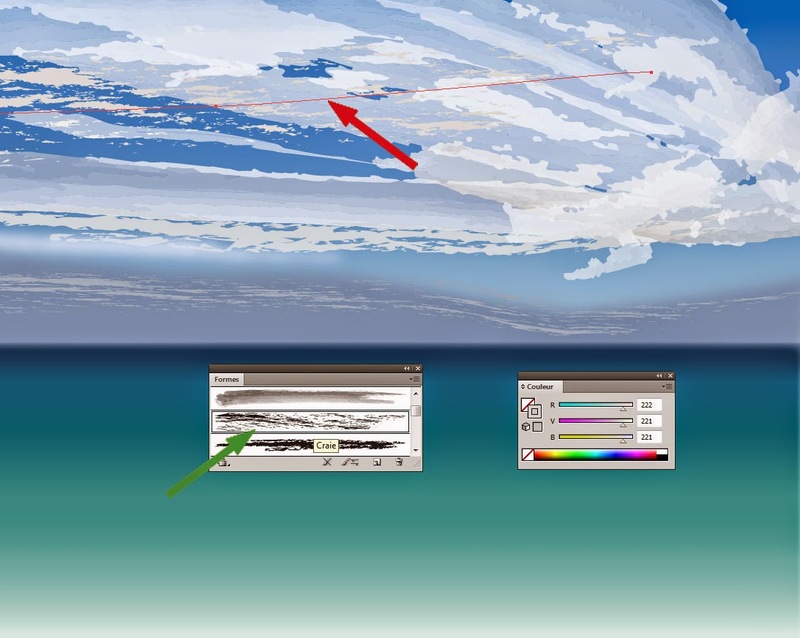 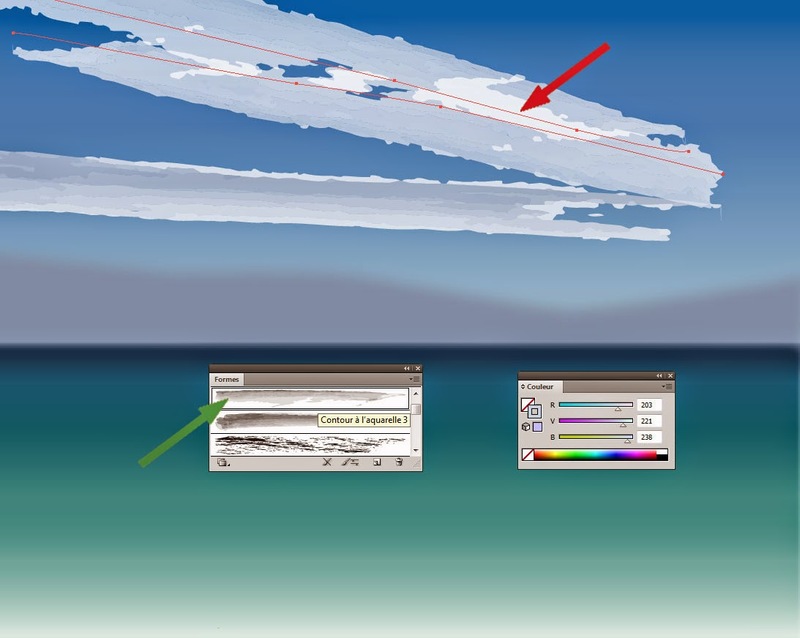 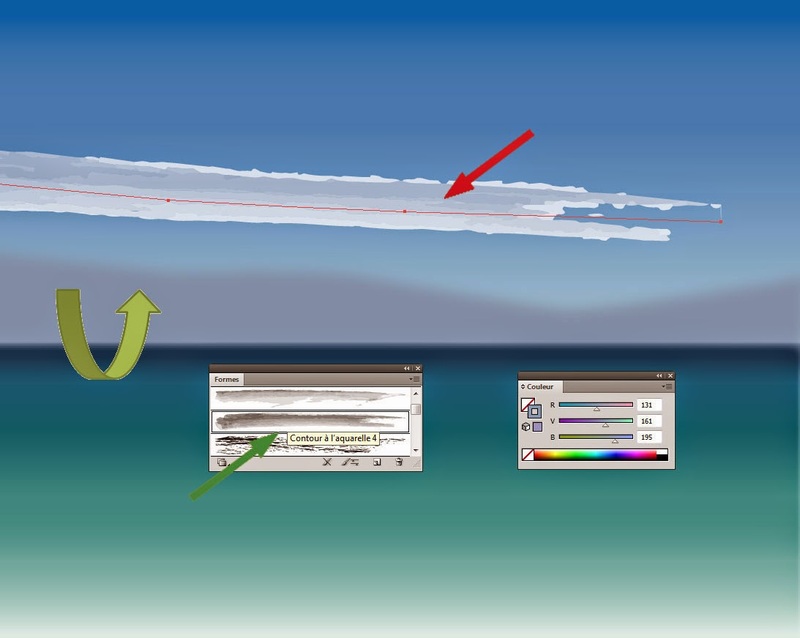 After drawing the cloud of mist between the sky and the sea (light green arrow) with a path of color RGB = 120, 150, 183 and Gaussian blur 6 pixels, the set of clouds is performed with the different brushes available in the standard library of Illustrator. 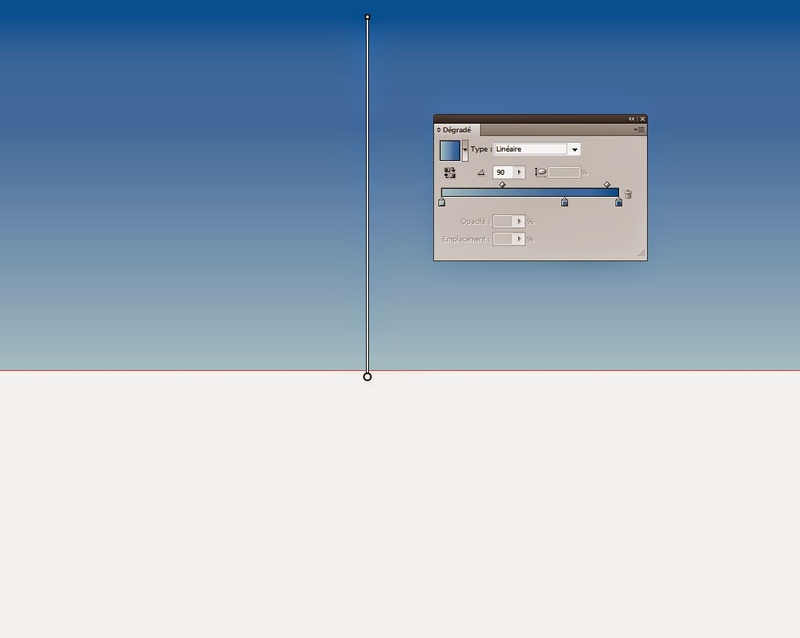 The first example below is a brush of type "Watercolor stroke 4", thickness 2 pts and stroke color RGB = 131, 161, 195. The drawing of the sea is made with the same objects and the same method as the sky above. Green algae are performed with different paths of color (RGB = 46, 52, 19) and brush "Chalk", 2 pts thickness. 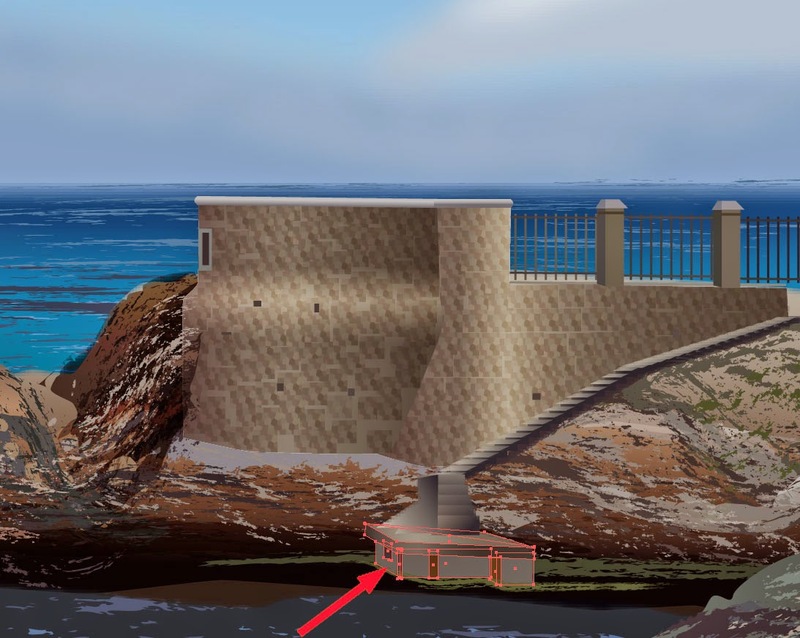 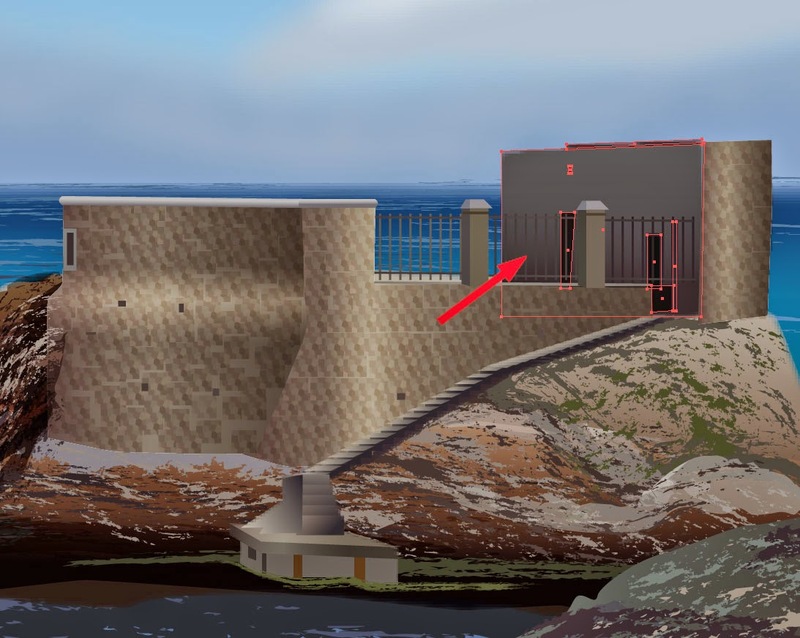 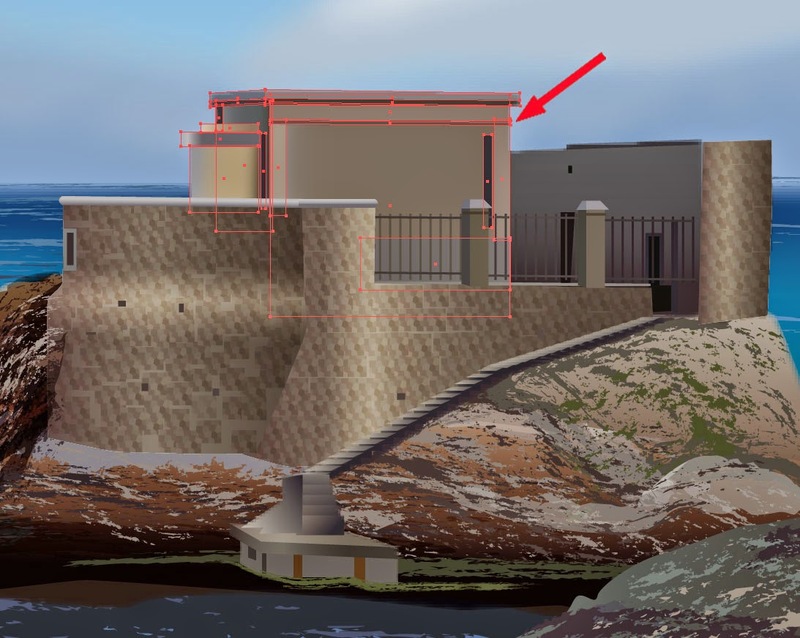 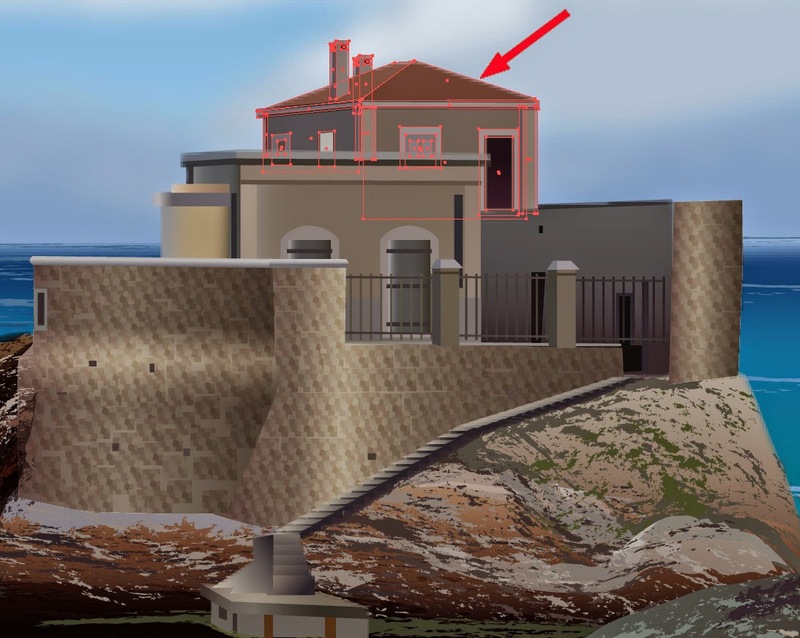 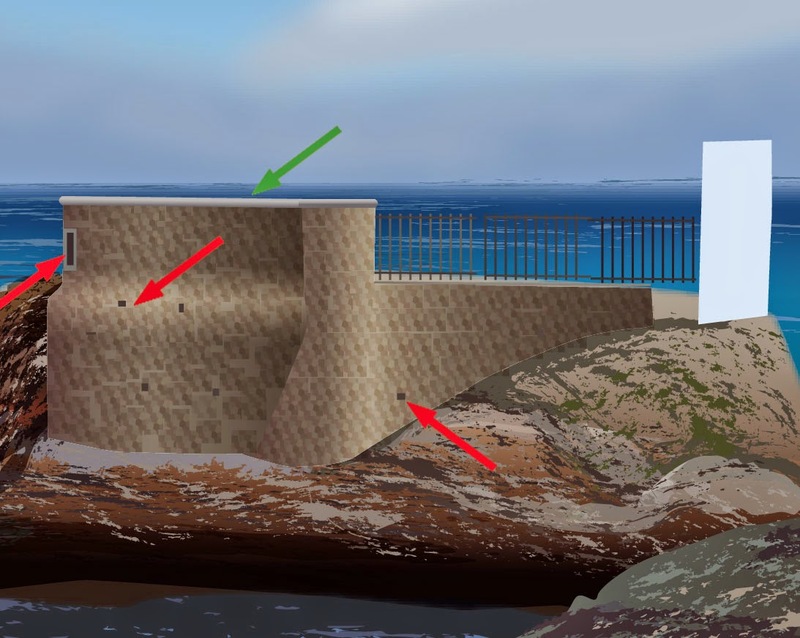 After booking the space of the wall to come (white), the rock is performed using color plots (RGB = 134, 106, 84), brush "Chalk" and thickness 0.75 pt. The dark marks are made with strokes of color (RGB = 15, 7, 11), brush "Chalk" and thickness 0.5 pt. 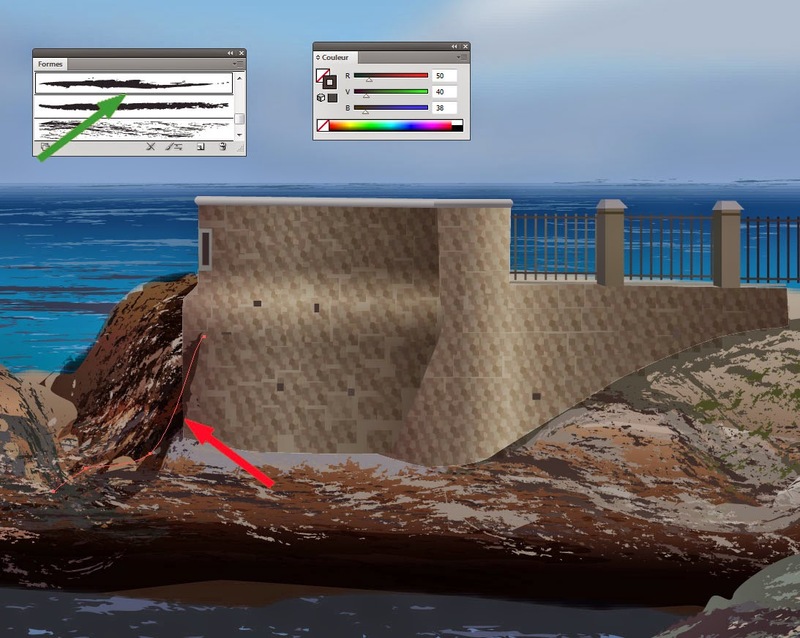 Other marks are made using paths of color (RGB = 142, 123, 116), brush "Chalk" and thickness 0.75 pt.